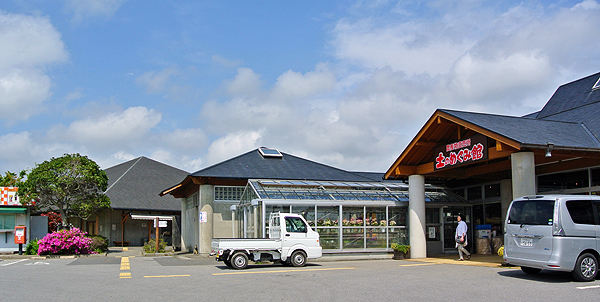 In Minami-boso shi, the area situated in the southern part of Boso peninsula, there are eight Michi-no-Eki (Road stations) and each of them has different characteristics which would make you not bored even if you visit them all, or rather, we would advise you to visit them all! Practically,there are two ways, whether you want to drive through the Aqua-Line or not. The fee of Aqua line was 3,000 Yen soon after the opening after the construction. However, less people wanted to use it because it was expensive, which made the price discount to 800 Yen for those who have ETC, an electronic device put in cars to pay the toll. If you are a traveler and don’t have the ETC card with you, Higashi-Kantō ExpresswayW would take you to Chiba with lower cost. It is fun also to go all the way via back roads by getting off at ICHIHARA I.C., or you can continue taking Tateyama ExpresswayW to Tateyama, which is a very comfortable driving road. At the very end of Tateyama Expressway, it will instantly lead you to Tateyama Bypass. Take Tateyama Bypass and Prefectural Road 296, turning to the left at Nako (那古) intersection. Continue Road 296 for about 3 km. You will then find a signboard of Michi-no-eki (Road Station) which would tell you to turn left for Road 88. Its characteristic is their local dairy products. There is a small dairy factory called ‘Milk Kobo (Milk Factory)’ within the Michi-no-Eki site where you could try their original ice cream, soft served ice cream (usually called ‘soft cream’ in Japanese-English) and frozen yogurt. The soft served ice cream is especially recommended here which the flavor changes every month to the seasonal local fruits! Not only because of the rich harvest of fruits but the milk that they produce, ‘Miyoshi Milk’ which has a special characteristic makes their milk related products, ‘worth-a-try’. Have you ever felt that the milk you drink in Japan is different to the ones you’ve been drinking in your country? If yes, that must be because of the pasteurization method. Many brands of milk sold in Japan are pasteurized with Flash pasteurizationW, also called HTST (high-temperature short-time) processing. The milk is heated up to 85 °C (185 °F) for five minutes and then 120 °C (248 °F) for 2 seconds. This method brings the longer shelf life to milk but must give its nutritional value and good taste into sacrifice. On the other hand, milk of Miyoshi is pasteurized with ‘low-temperature long-time’ method, the method that the milk is heated to 65 °C (149 °F) for 30 minutes, which allows the milk to stay true to itself though its shelf life is shorter. The reason of the good taste of Miyoshi milk is not only their pasteurization method but the bases of the milk which is kept high by keeping healthy and well-balanced milk cows in local farms under good environment. By the way, did you know that this area was the origin of the dairy production in Japan? Here in Minami-boso, southern part of Chiba, there were big ranches for raising horses for military usage owned by Satomi clanW in Sengoku periodW. However, it was confiscated by Tokugawa ShogunateW in 1614 for direct control of the breeding horses. The eighth Shogun, Tokugawa YoshimuneW, made an effective use of farming and revitalized the dairy production with three white cows imported from India in 1728. The motivation of the dairy production was not for people’s consumption but for the butter needed for maintaining horses! 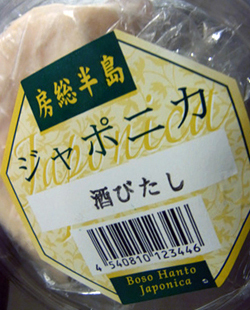 ‘Sake bitashi’, meaning sunken in sake (Japanese rice wine), this cheese is absolutely Chiba original cheese which is ‘worth-a-try’! 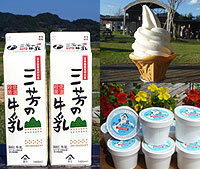 Today, the leading dairy production area in Japan is Hokkaido, where the Meiji government developed as a national task. 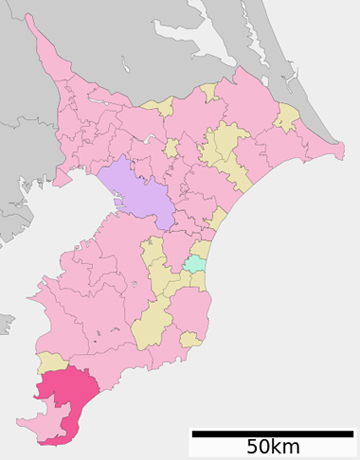 Still, Chiba is the one of the areas in Kanoto regionW where dairy production is famous. 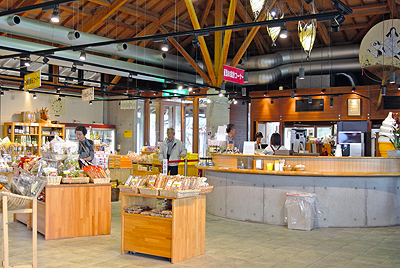 As well as their own dairy products, many kinds of local milk related products are available in this Michi-no-Eki. What we would like to recommend you is the local made cheese. Besides this Michi-no-Eki, there are many small cheese-factory farms around this area where you could buy their products which are difficult to buy in Tokyo. 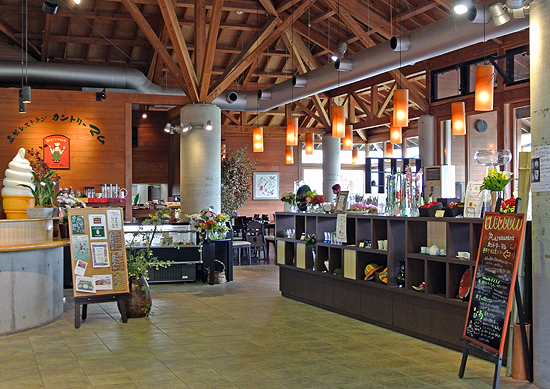 Agricultural restaurant, ‘Country Mom’. One of the best restaurants out of other Michi-no-Eki restaurants. Here, within the main Michi-no-Eki building, you can feed yourselves with high quality homemade style dishes which local farmer wives cook with local grown vegetables and meat. As well as the local dishes, there are several selections of deserts which you cannot miss. Of course, they are made with their local milk, high in quality! To be honest, we have had one of the best food compared to other restaurants of other Michi-no-Eki we have tried so far. Address : 82-2 Kawada, Minami-boso-shi, CHIBA Pref.